Please join us in Barcelona, the cosmopolitan, enchanting seaside capital of Spain's Catalonia region, famous worldwide for its art, architecture, cuisine, and warm culture, for two days of hands-on training in reactive transport modelling using The Geochemist's Workbench®. Then stay on to visit the fantastical Sagrada Familia church, Museu Picasso, and Fundació Joan Miró, and of course to attend the Goldschmidt 2019 conference. SPECIAL OFFER: Sign up for this workshop for only €120 when you register for the Goldschmidt 2019 conference! Online registration for the Goldschmidt Conference opens in late January and closes July 18, 2019. The 2018 workshop filled to capacity several months beforehand, so don't delay! The topics will be illustrated through a series of case studies. More information? Contact workshop support. Can't come? Consider an alternative from our 2019 workshop lineup. I thought the workshop was fantastic! The pacing and examples were very good and the course gave me a lot of ideas on how I can better use GWB. The Reactive Transport Workshop was absolutely fantastic! Five stars, would recommend to a friend! The workshop will be presented by Craig Bethke, Brian Farrell, Kate Maher, and Qusheng Jin. Prof. Bethke is the R.E. Grim Professor emeritus at the University of Illinois. 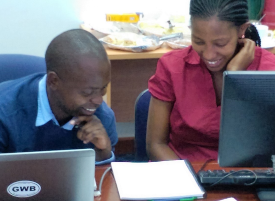 He is the primary author of The Geochemist's Workbench® software package and author of the Geochemical and Biogeochemical Reaction Modeling text, published by Cambridge University Press. 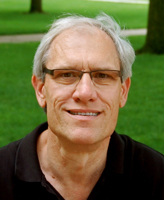 Craig Bethke has been cited many times for excellence in teaching. He is a Fellow of the American Association for the Advancement of Science and recipient of a number of prizes in hydrogeology and geoscience, including the O.E. Meinzer Award and M.K. Hubbert Award. 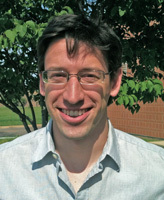 Brian Farrell is the lead Geochemist at Aqueous Solutions LLC, makers of The Geochemist's Workbench®. Mr. Farrell is expert in aquifer microbiology, geochemical modeling, and reactive transport in geochemical systems. He has taught short courses in North and South America, Europe, Africa, Asia, and Australasia. 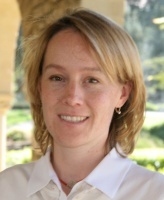 Kate Maher teaches at Stanford University and is an authority on water-rock interaction, weathering, and isotope geochemistry. She teaches environmental geochemistry at the undergraduate and graduate levels. An experienced short course instructor, she is the 2012 Allan Cox medalist. Qusheng Jin is a professor of Earth Science at the University of Oregon. 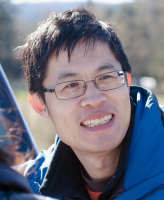 Qusheng leverages his mechanistic understanding of biological processes to develop new modeling theories and methods, and to apply them to natural and contaminated environments. Cited for his University teaching accomplishments, Qusheng is an experienced workshop instructor. The workshop will be held at Campus Diagonal-Besos of the UPC, Universitat Politècnica de Catalunya. The specific location will be assigned in spring, 2019; please check back on this page for details. Space is limited, so sign up early. You may join the workshop when you register for Goldschmidt 2019, or you may sign up directly with the workshop organizers. The workshop fee is only €120 when you attend as part of the conference, which is the least expensive way to take part. To take advantage of the Conference's early registration discount, be sure to sign up by June 18. Please note the Goldschmidt Conference cuts off registration for all workshops on July 18. Alternatively, you may register directly with the workshop organizers, without attending the meeting, at the undiscounted price. In this case, the workshop fee is US$599 until June 18, or $699 after that date. Full-time students currently enrolled in a university degree program can register at the reduced rate of US$499, or $599 after June 18. Please bring current student identification to the workshop. We are pleased to welcome back participants from our previous workshops at a special discount when registering directly. For fastest verification, please sign up with the email address you used registering for the earlier course. However you register, the workshop fee includes all course materials, coffee breaks, and lunch each day. Each registered participant will receive a free 60-day license to The Geochemist's Workbench® 12 Professional version. We will ask you to bring to the course a laptop with the software installed and running. Fees paid through the Goldschmidt are subject to Conference policies. A registration made with the workshop organizers may be transfered to another participant at no charge, and is fully refundable until 30 days before the workshop. In either case, liability in the event of workshop cancellation or other eventuality is limited to refund of the registration fee.